1 large round serving tray in each package. This round plastic tray measures 12".|Gone are the days of serving out of a suitcase! 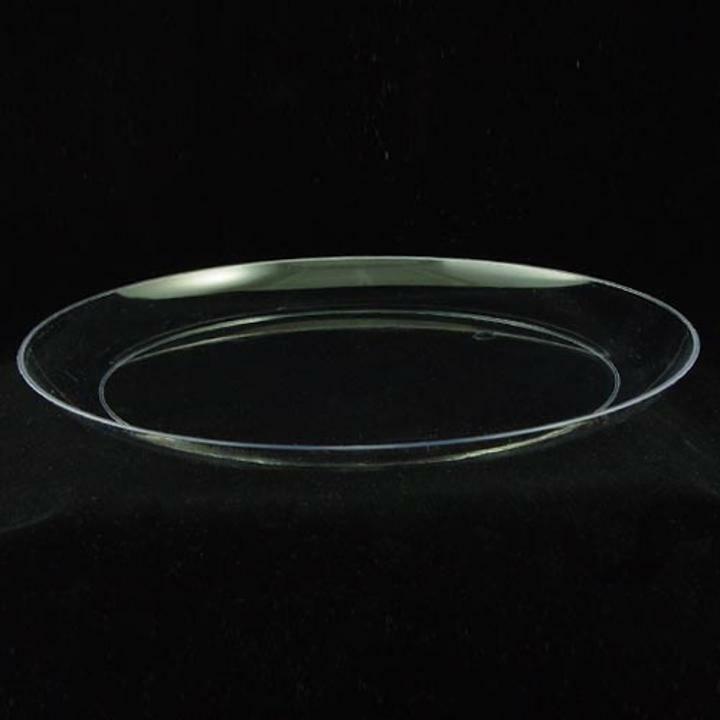 With these beautiful 12" round plastic serving trays, your servers don't have to hide their trays in their jackets anymore. Be proud of these round serving trays and serve with pride! At these prices these large round trays can be disposed of after one use, but at this quality you might want to use these round plastic trays over and over again!